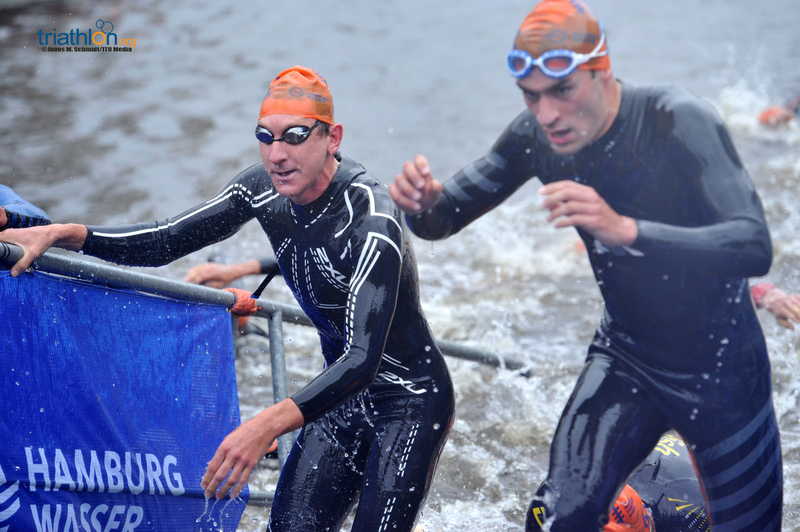 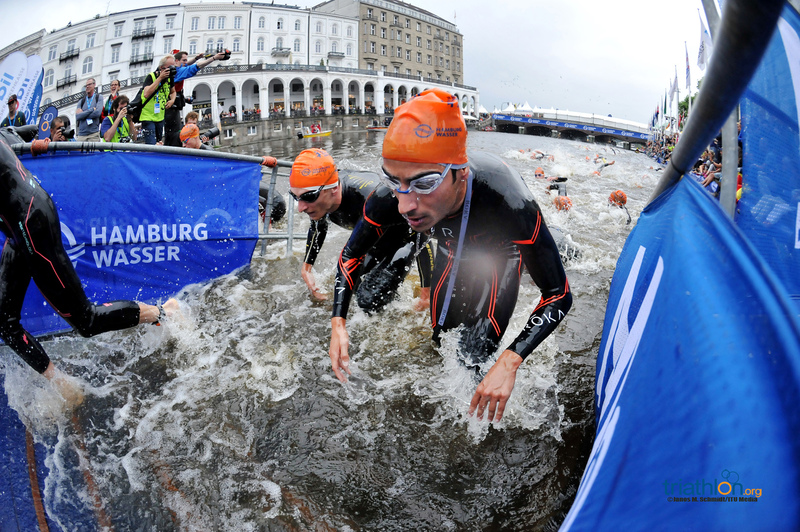 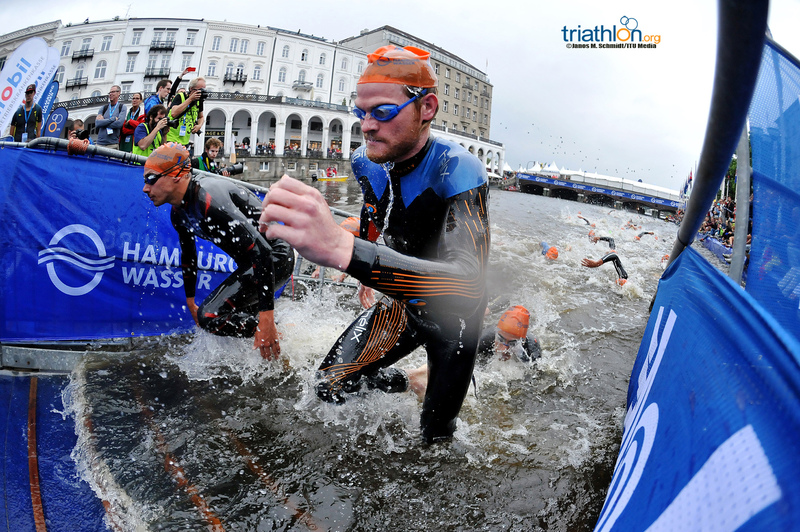 Despite its ever-present status on the Series, the Hamburg Wasser World Triathlon welcomed two brand new names to its long history of race winners on Saturday. 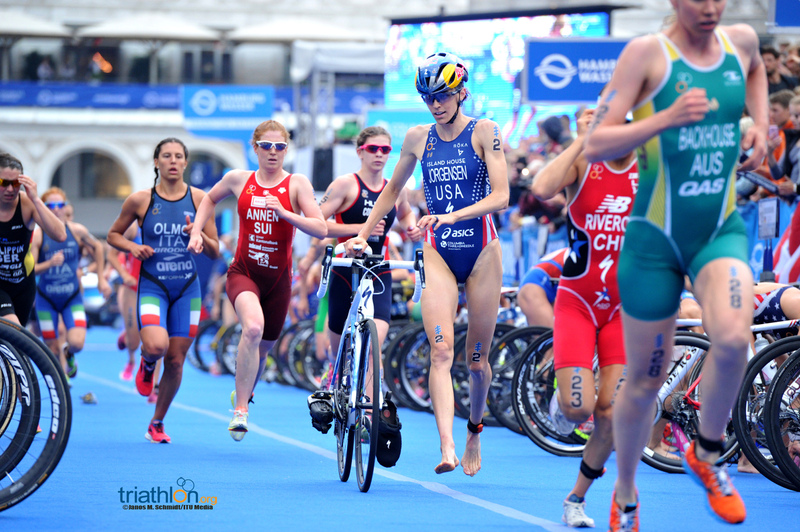 For one of those athletes, victory was a brand new career experience, while for the other it could well be another step towards a first ITU World Championship title. 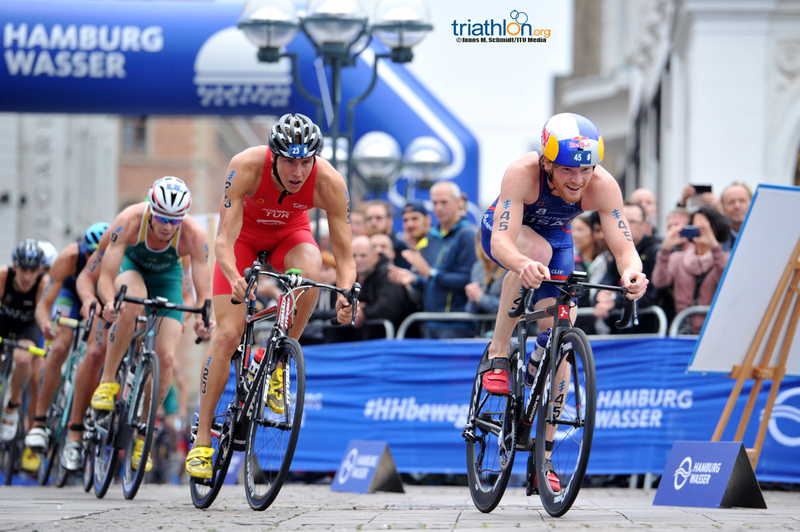 Let’s look a little deeper into the statistics and stories from Hamburg. 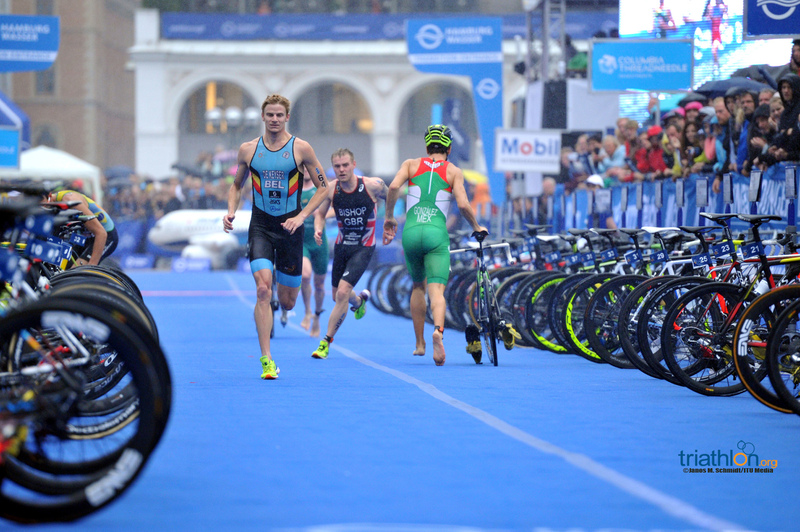 For the second consecutive race, the World Triathlon Series welcomed a first-time winner. 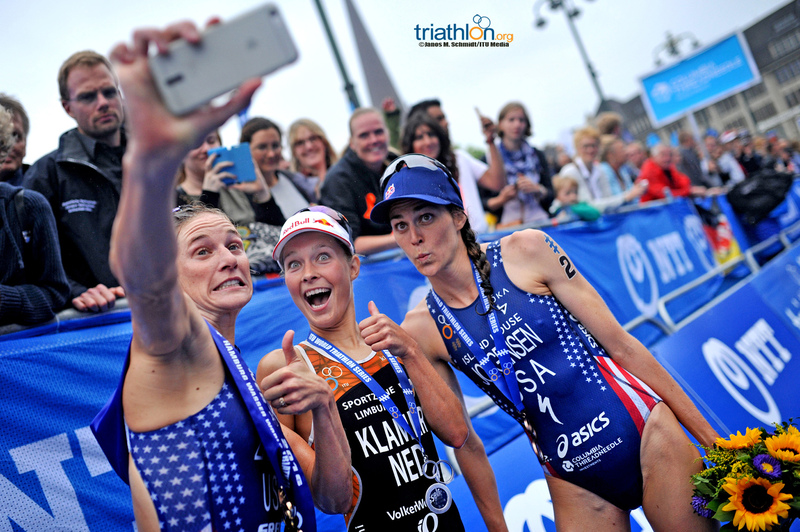 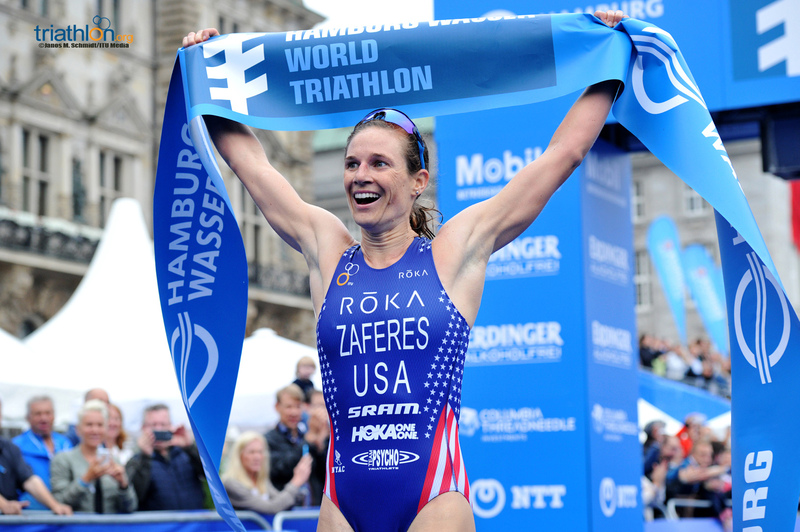 Just like Flora Duffy (BER) in Stockholm, Katie Zaferes (USA) was no stranger to a WTS podium itself; having secured five second places finishes and one third during 2015. 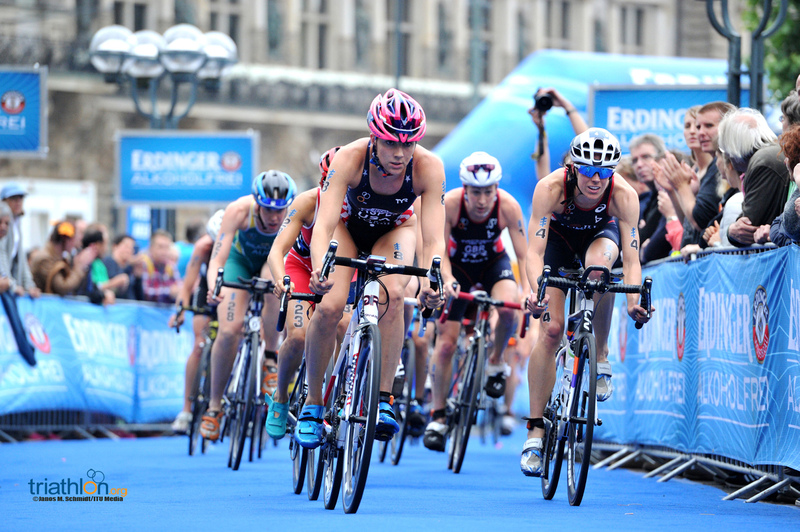 However, in Hamburg she was able to take the final step and become only the 18th women to win a World Triathlon Series event since 2009. 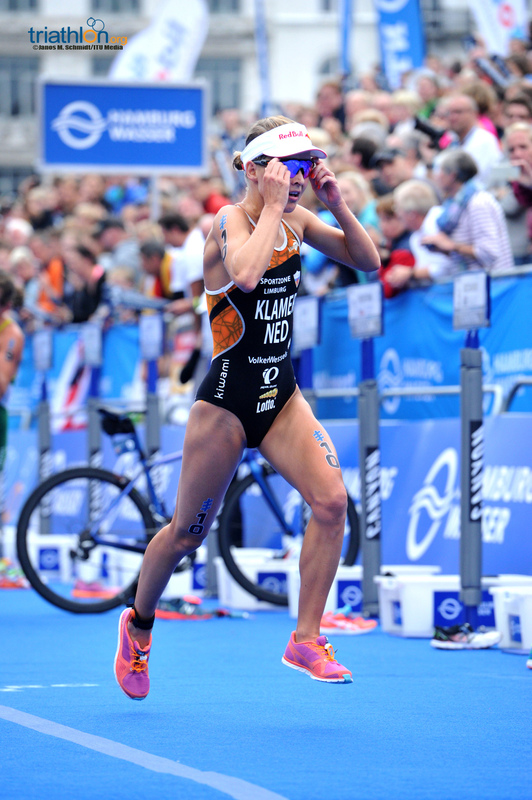 While Katie was gaining her first win, second place for Rachel Klamer (NED) was her first World Triathlon Series podium, achieved in her 40th race. 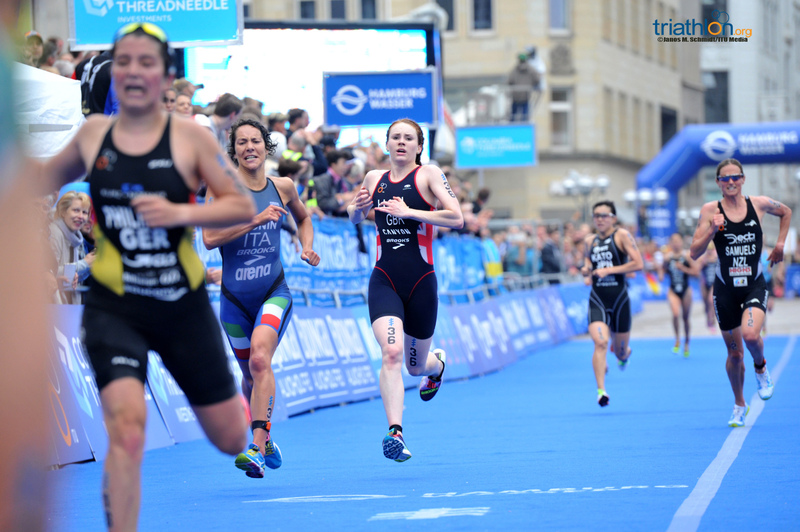 Having finished seventh (Leeds) and fifth (Gold Coast) already this year, her form has been good, but that might be just the breakthrough she needs to push on to further success. 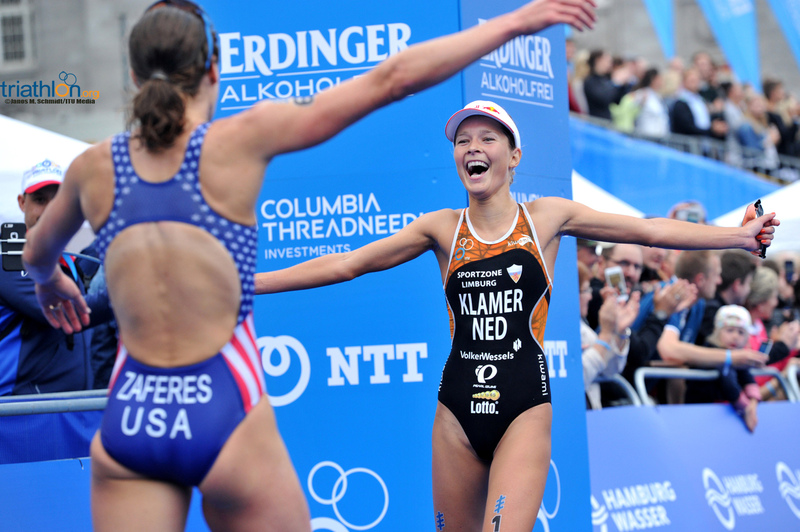 It also makes her only the second Dutch athlete to have achieved this after Maaike Caelers. 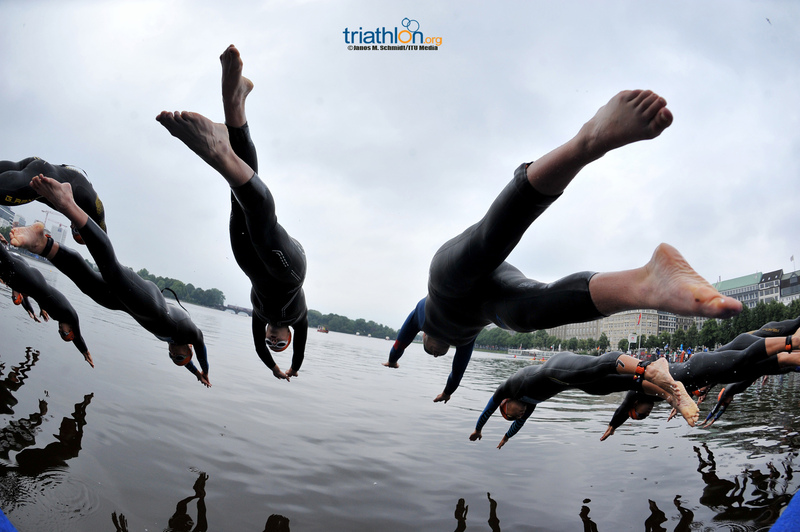 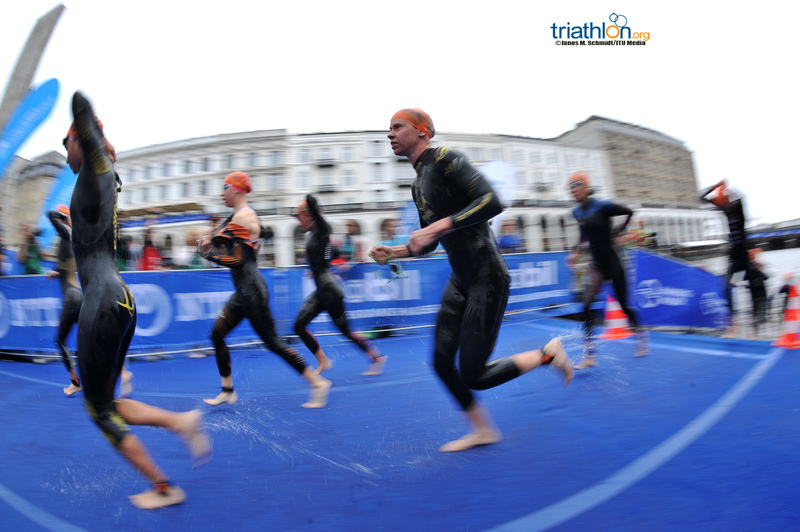 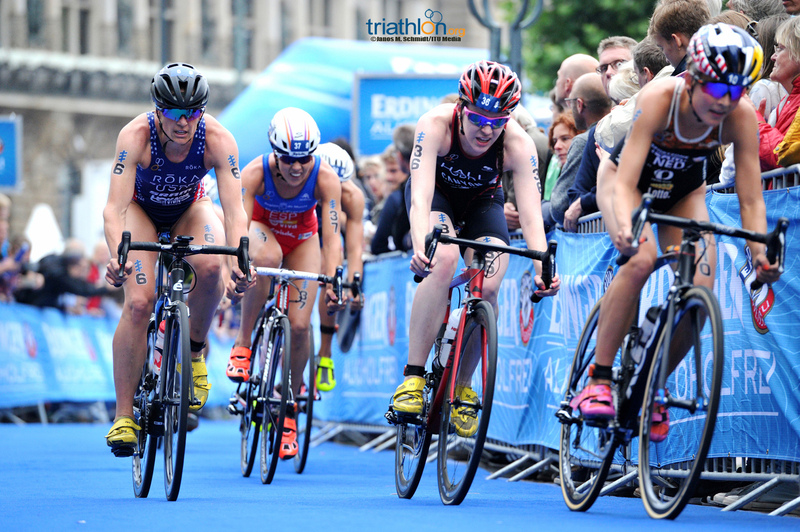 Who will be the first athlete from The Netherlands to win WTS gold? 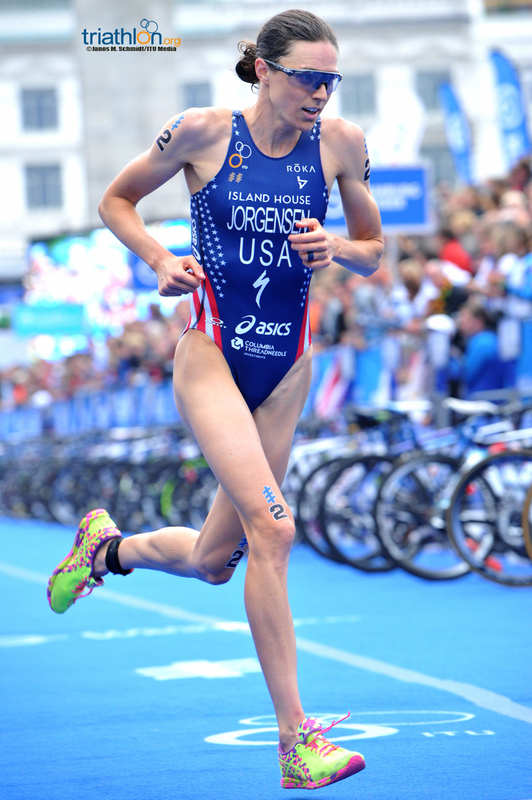 Such is her quality that Gwen Jorgensen (USA) being beaten in a race is treated as big news, because it happens so infrequently. 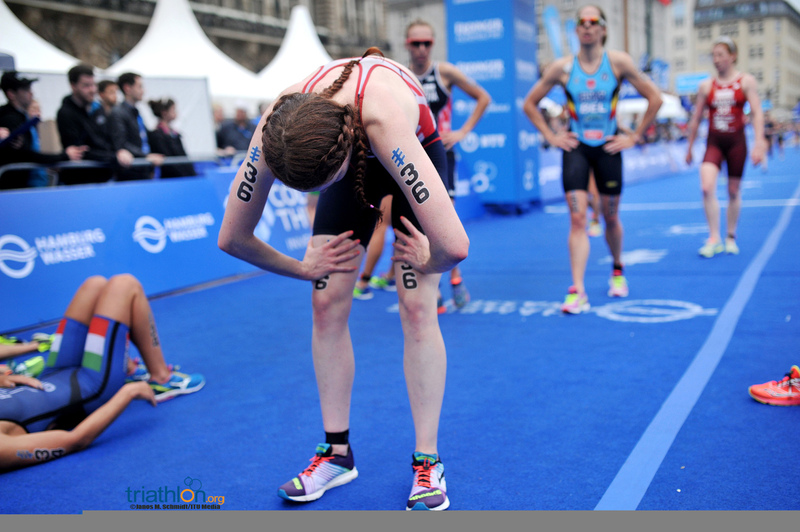 Third place in Hamburg will not be the pre-Rio result that Jorgensen wanted, but there are still plenty of positives to take away. 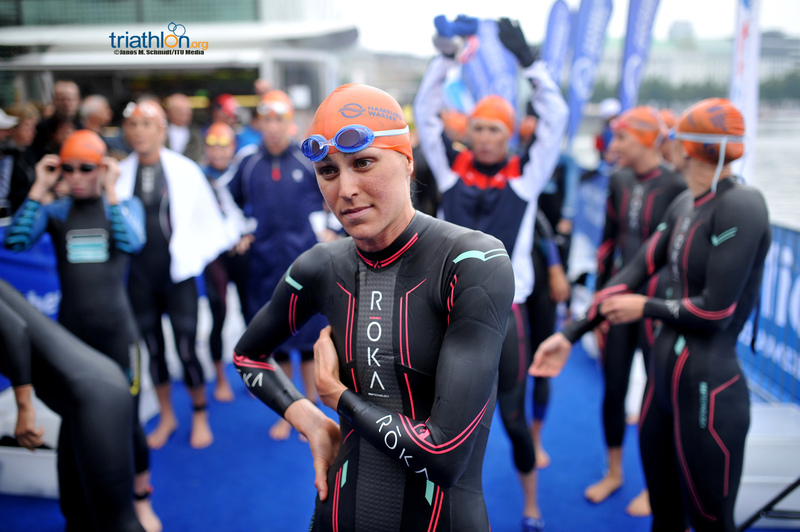 Her 5km run time of 15:44 was the second fastest sprint distance time recorded to date within the World Triathlon Series. 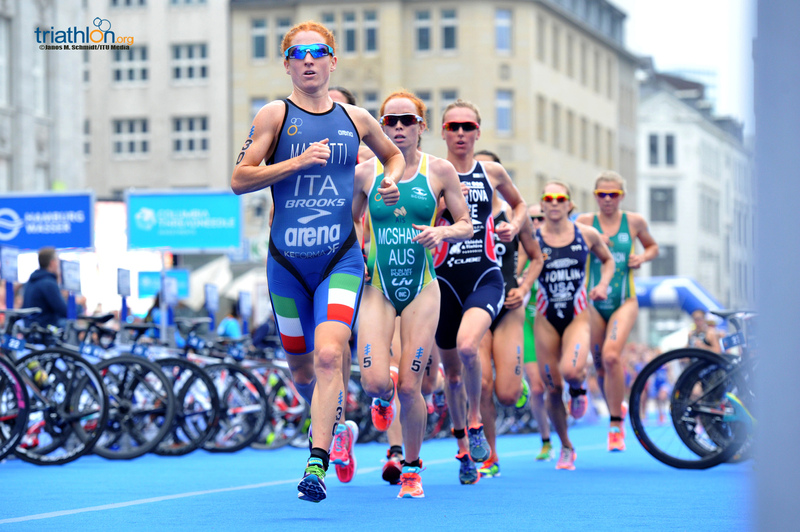 Only Gwen herself (15:31, also in Hamburg three years ago) has run faster. 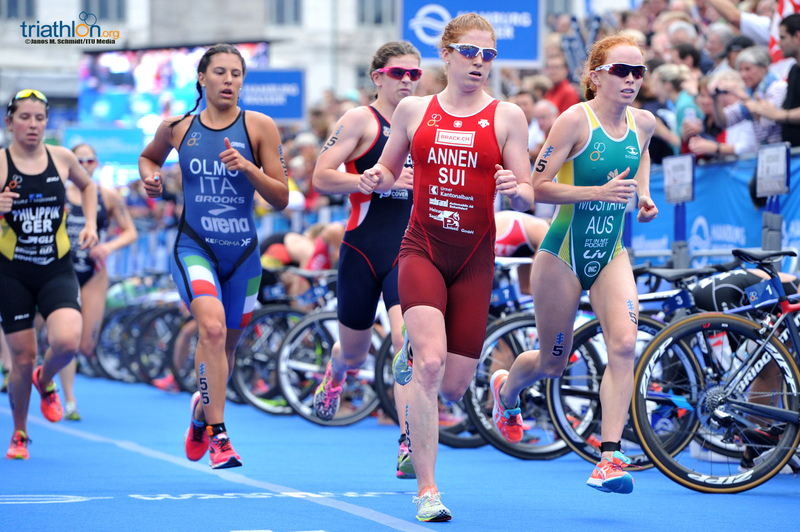 She also improves her incredible medal statistics to 22 podiums from 35 starts; that’s a podium success rate of 63%. 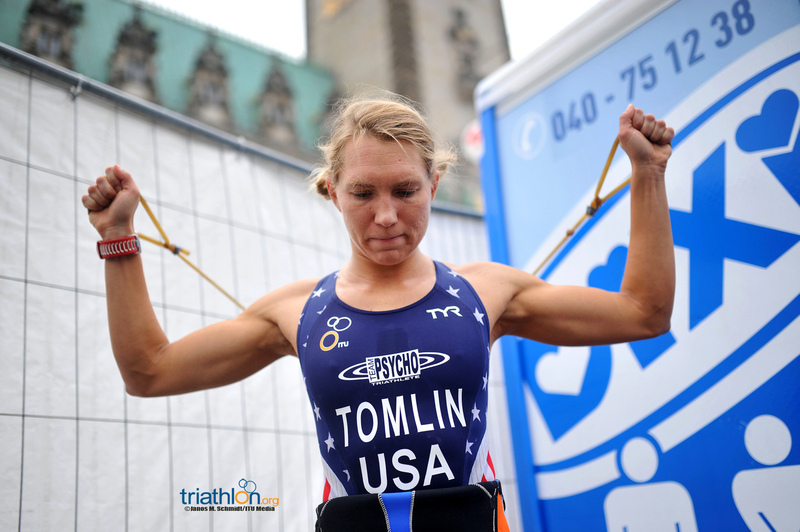 For her last 17 starts that percentage is, incredibly, 100%; including 14 dominating wins. 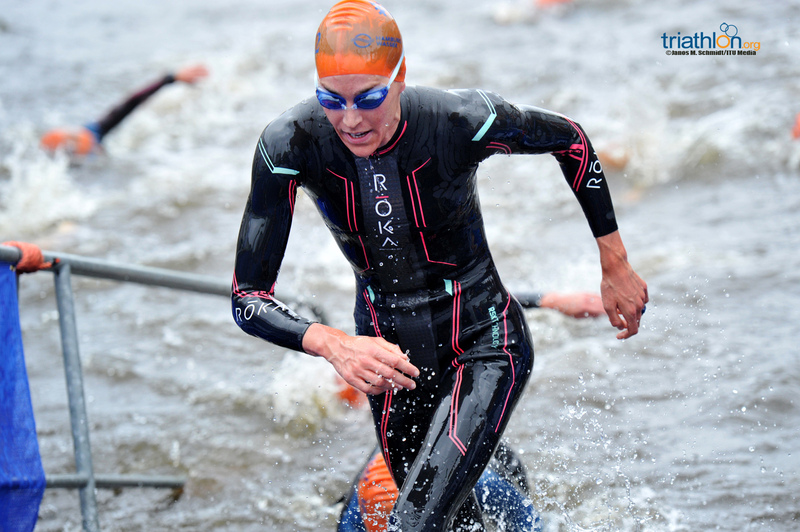 One athlete not heading to Rio this year, such is the strength-in-depth of the Great Britain team, is Jodie Stimpson. 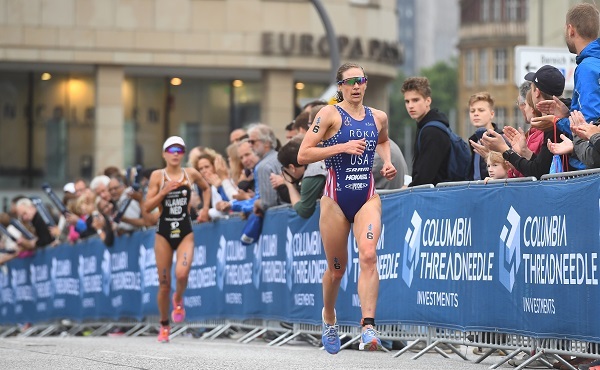 With her attention now firmly focused on the Columbia Threadneedle Rankings, fourth in Hamburg was another strong result towards her revised season objectives and a huge confidence boost after having a DNF in Stockholm. 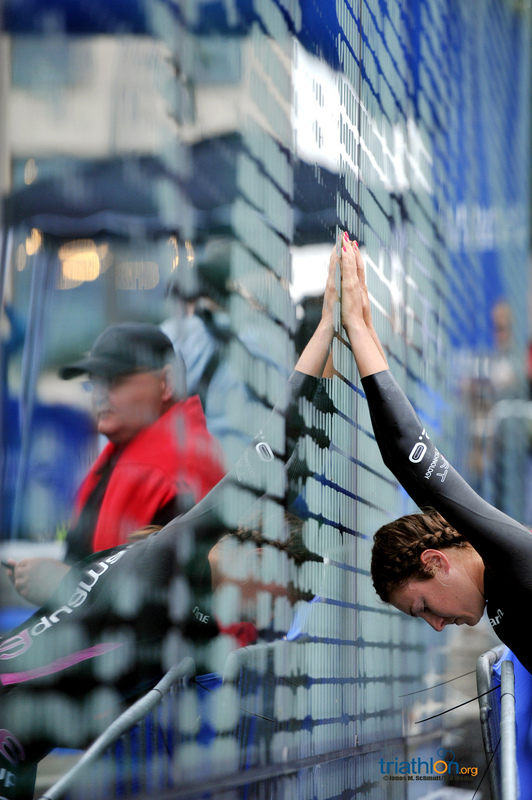 She now improves to second place in the rankings and has reduced the gap to Series leader, Flora Duffy (BER). 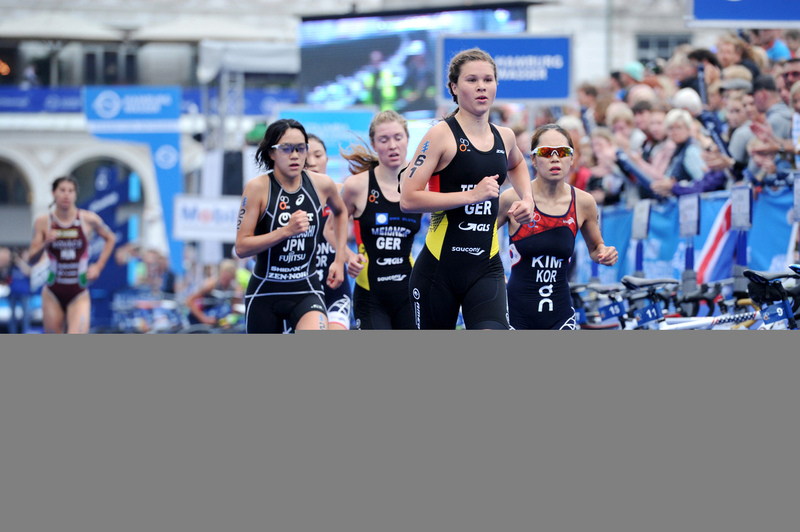 Anastasia Abrosimova (RUS) had a real breakthrough performance in Hamburg. 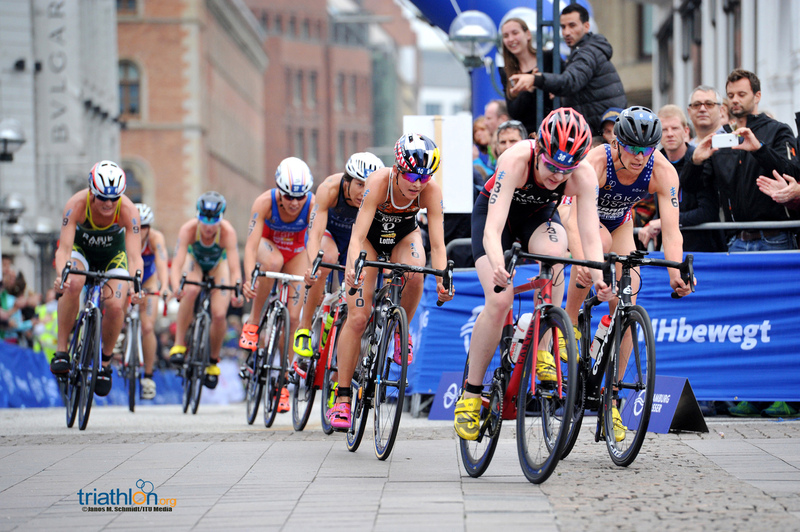 From a previous best WTS result of 15th in Abu Dhabi this year, fifth place in Germany makes her the biggest mover in the Columbia Threadneedle Rankings, up 18 places to 21st. 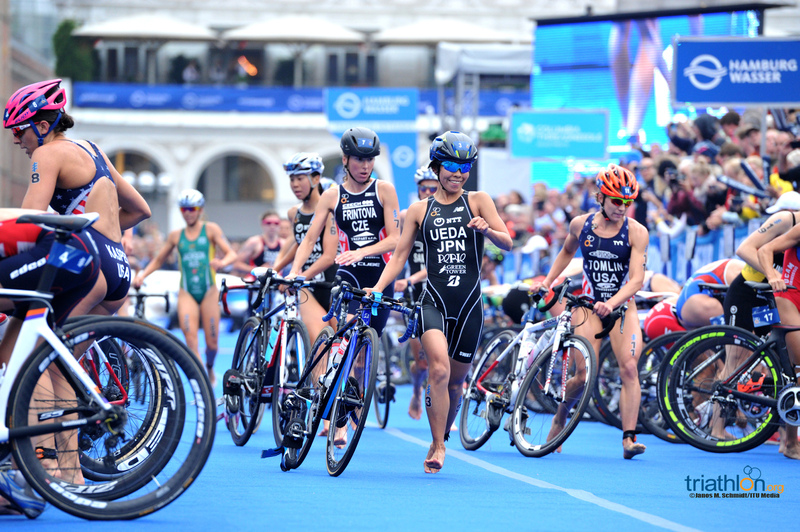 Japan’s Ai Ueda is the only women to have finished all seven World Triathlon Series events in 2016 and now stands alone as the most experienced athlete on the circuit, with 51 WTS race starts in her career. 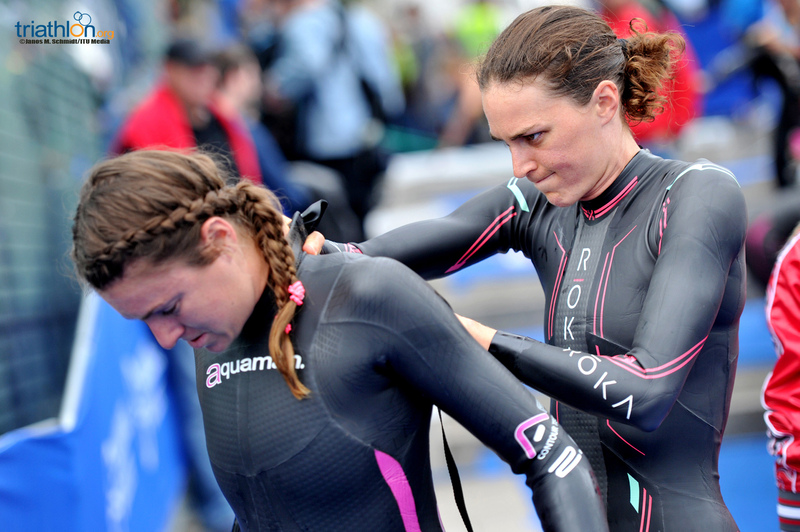 As well as racing a lot, she has also been racing very well. 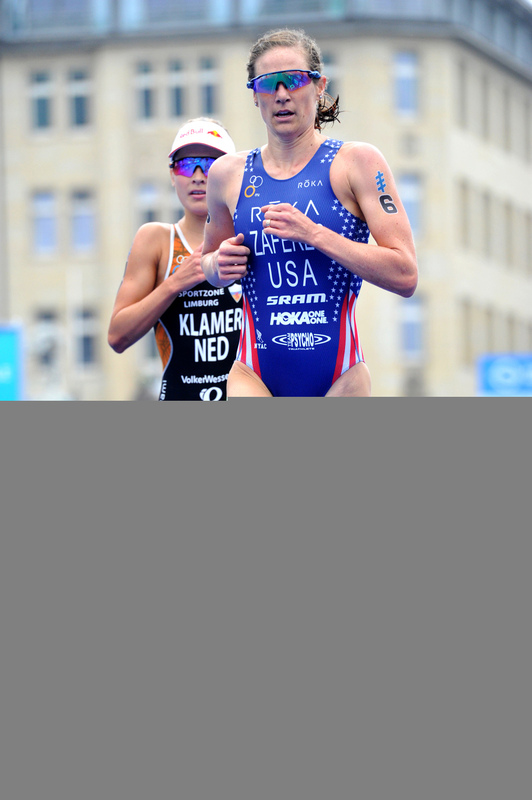 Seventh place in Hamburg represented her fifth consecutive top ten finish this season and that consistency is why she now holds fourth position in the Columbia Threadneedle Rankings. 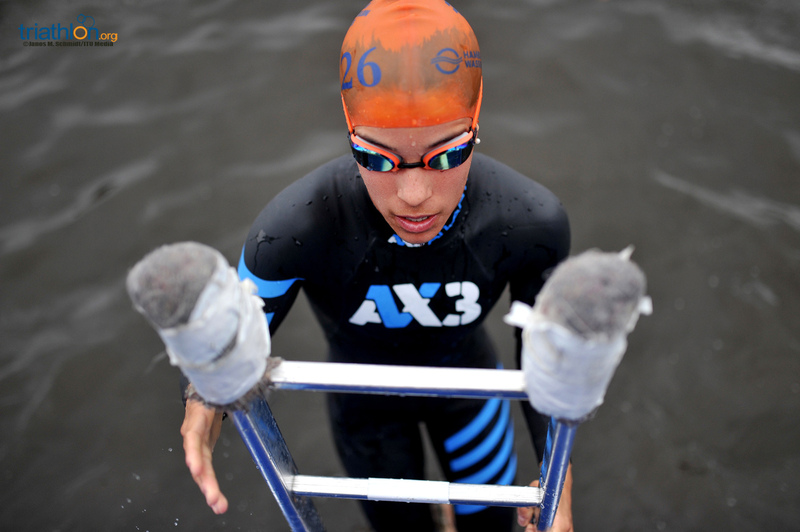 With a previous best year-end ranking of 14, Ueda is on track to combine her experience with her best season to date. 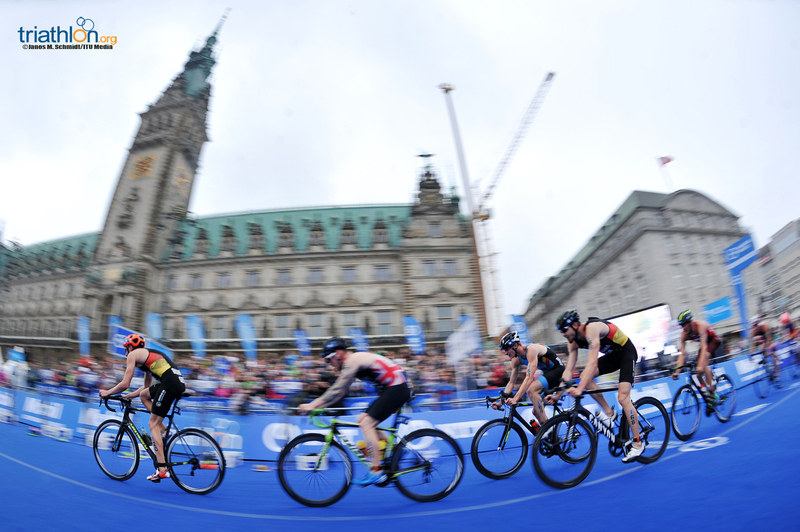 In a period during which a very select group of men have dominated the podium in World Triathlon Series racing, there is one very surprising statistic to emerge from Saturday’s race in Germany. 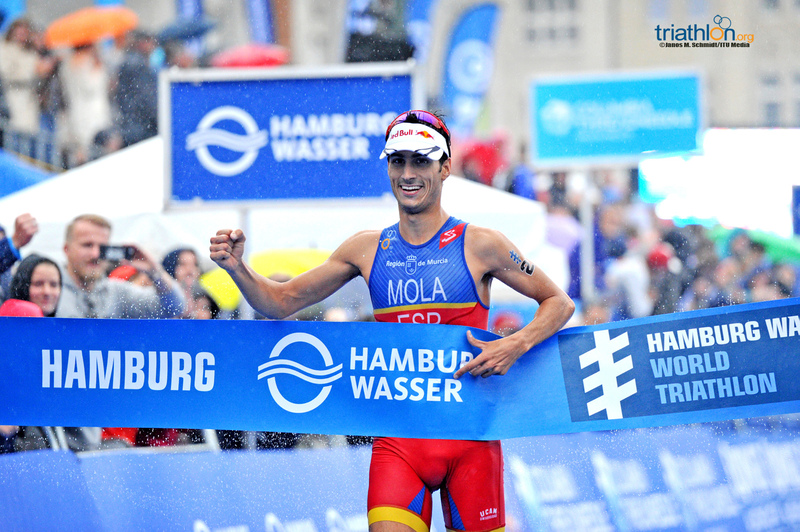 Despite Hamburg being the race to appear each year on the WTS circuit since its introduction in 2009, the victory of Mario Mola (ESP) represented the eighth different men’s winner in eight races. 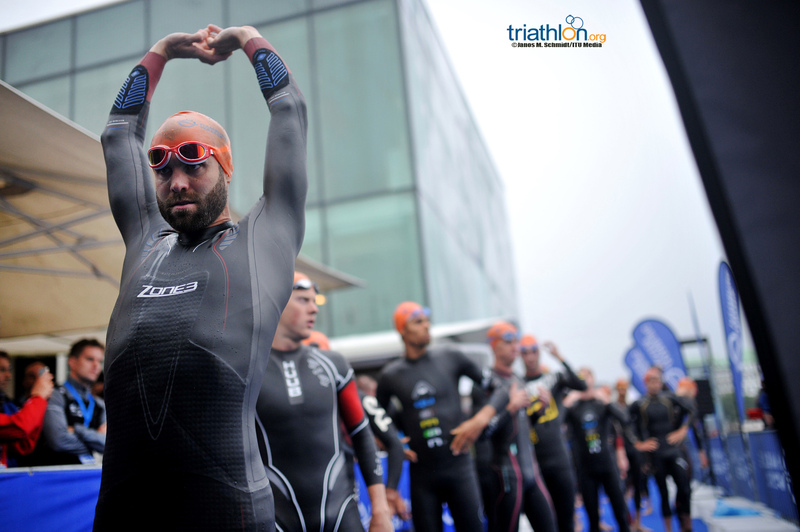 Having missed the last two events in Leeds and Stockholm, Mario was straight back to top form making it four victories from five WTS starts in 2016, bringing his career total to seven wins. 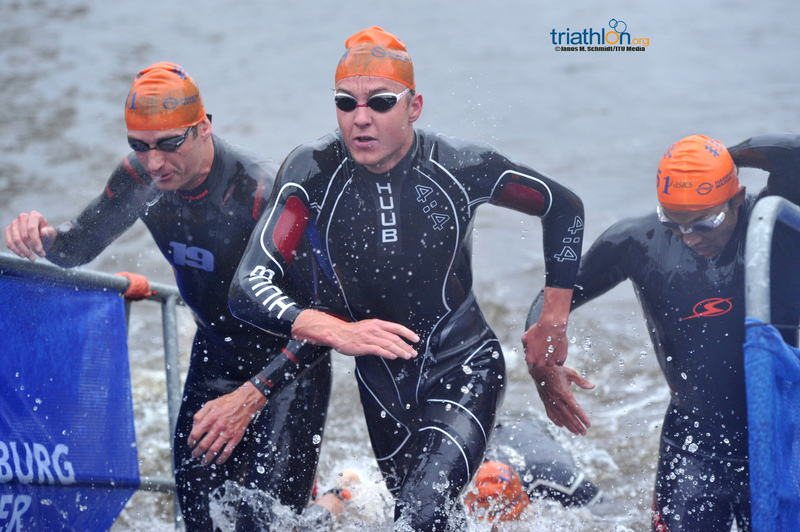 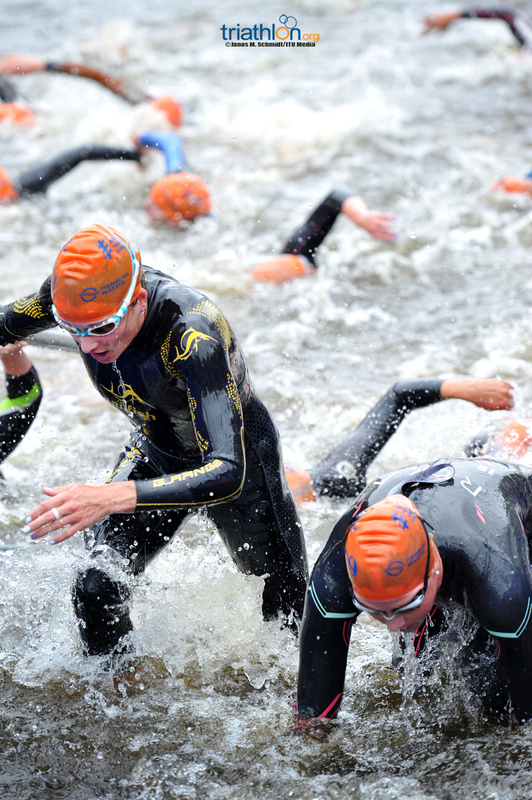 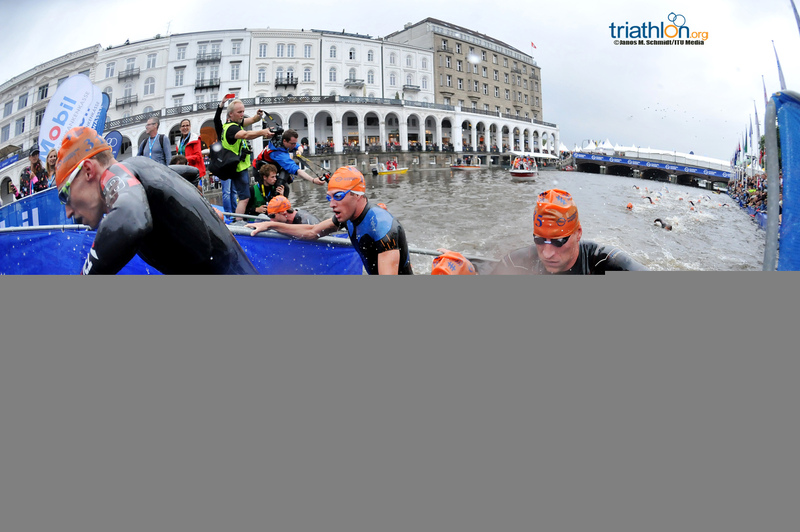 Only Alistair Brownlee (2009) has won five elite men’s World Triathlon Series event in one season. 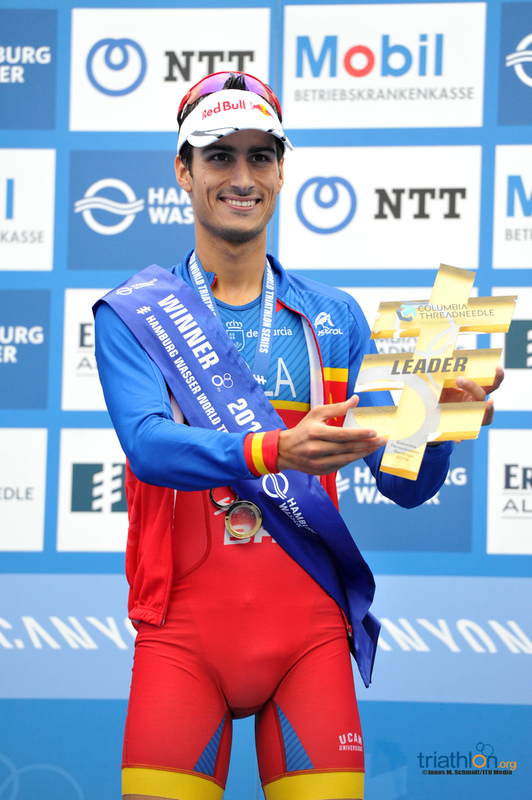 Mario has two more potential opportunities to match that achievement. 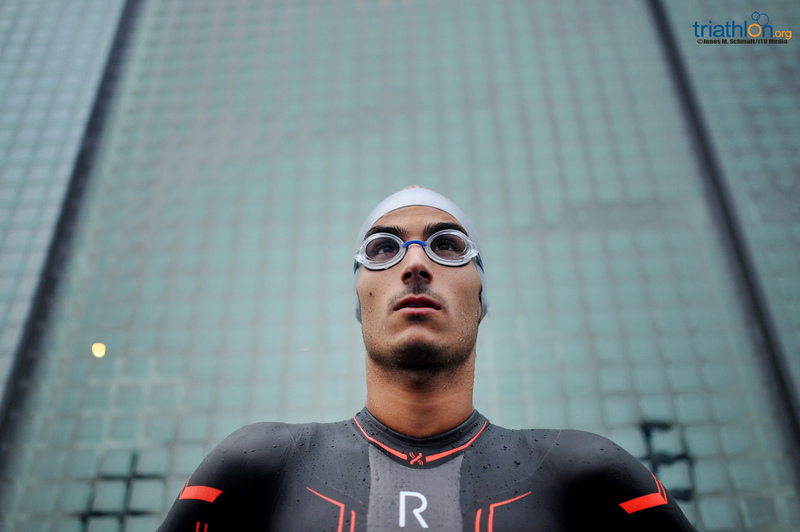 This latest victory puts him back on top of the Columbia Threadneedle Rankings, almost 400 points clear of compatriot Fernando Alarza. 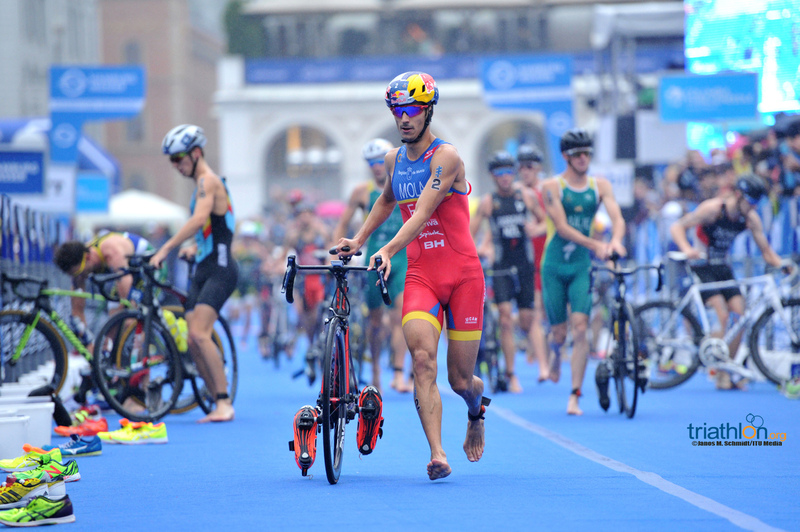 While the Olympic Games in Rio will be the immediate objective now, Mario is guaranteed to head the rankings ahead of the ITU Grand Final in Cozumel, Mexico in September, irrespective of results in Edmonton, the penultimate WTS race of the year. 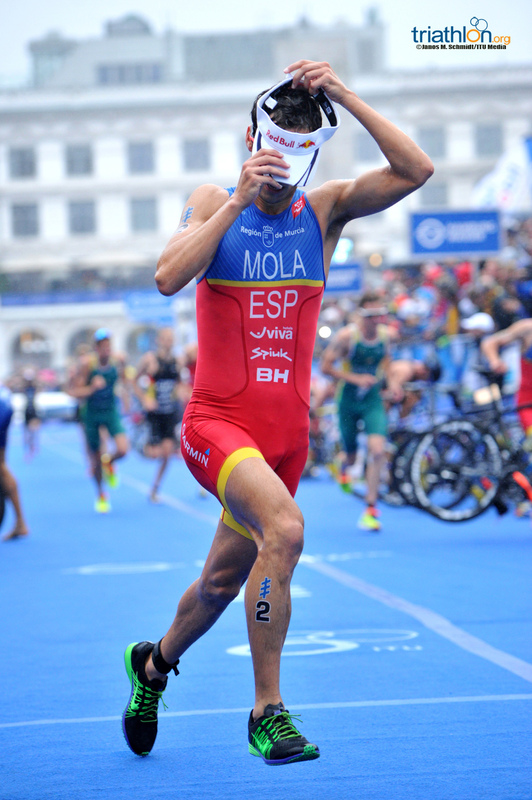 With silver medals over the past two seasons, this could be the year that Mario Mola becomes ITU World Champion. 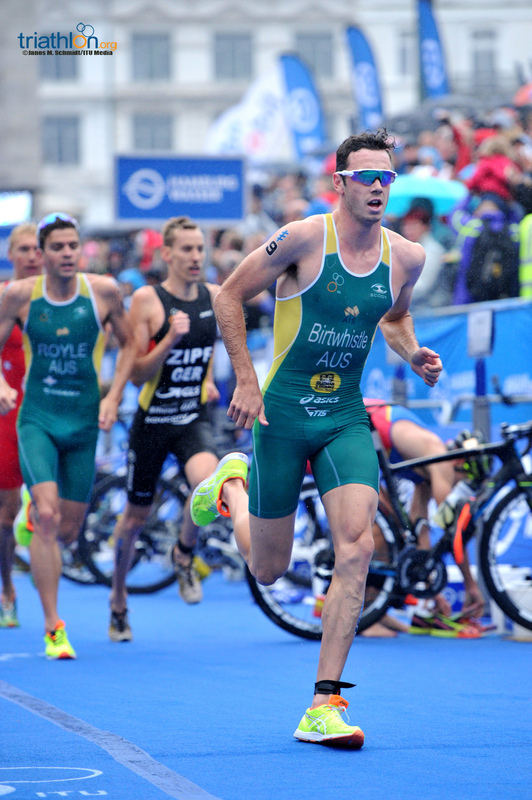 Hamburg will surely be both memorable and a learning experience for Jacob Birtwhistle (AUS). 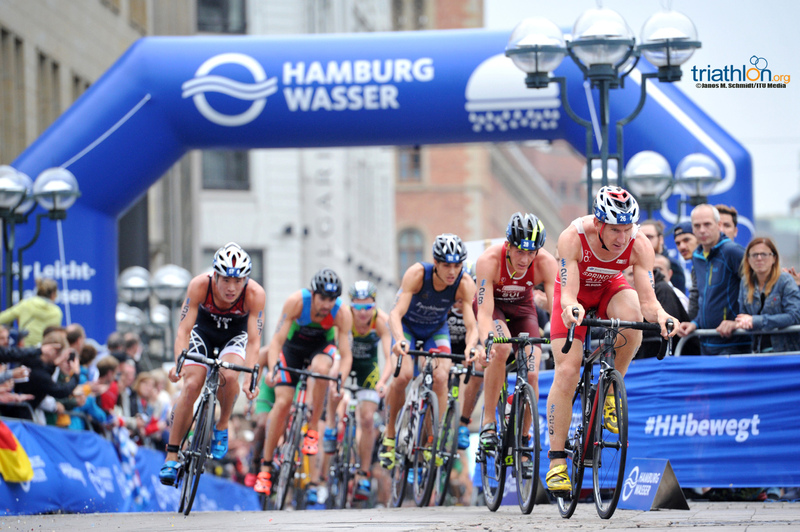 The reigning Under-23 World Champion came close to a first WTS podium when fourth in Yokohama, but finished the day with silver in Hamburg. 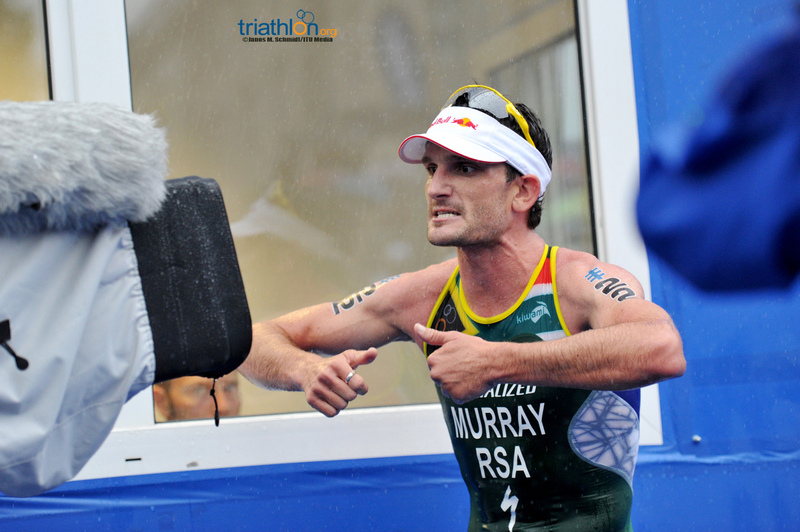 And yet, for a brief moment, he thought it was going to be fourth again. 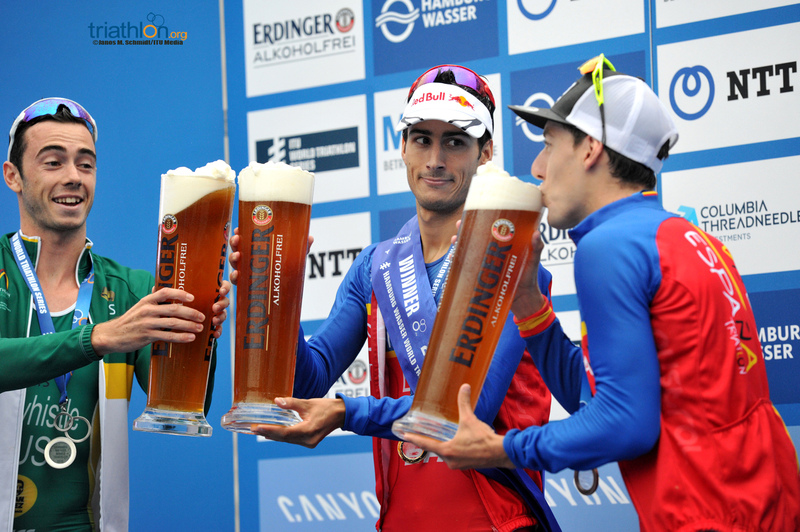 Celebrating perhaps a split second early, Fernando Alarza almost caught Jacob on the line in the sprint for third. 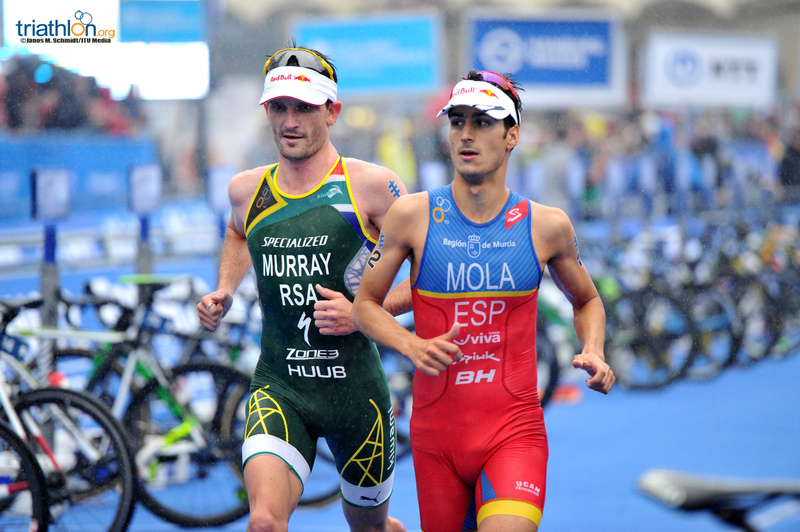 Thinking that he’d lost that battle, Birtwhistle found not only had he just crossed the line ahead of the Spanish athlete, but with the disqualification of Richard Murray (RSA), he had also moved up to second. 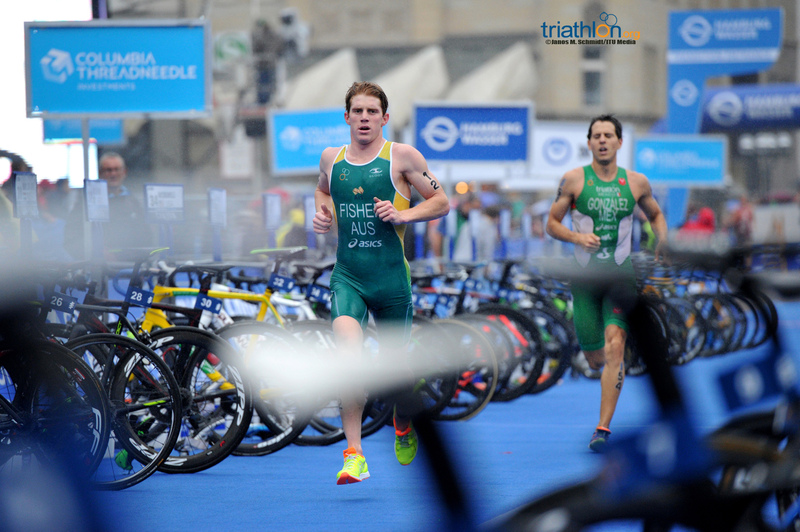 While disappointed not to make the Australian team for Rio, he now sits in fifth place in the Columbia Threadneedle Rankings. 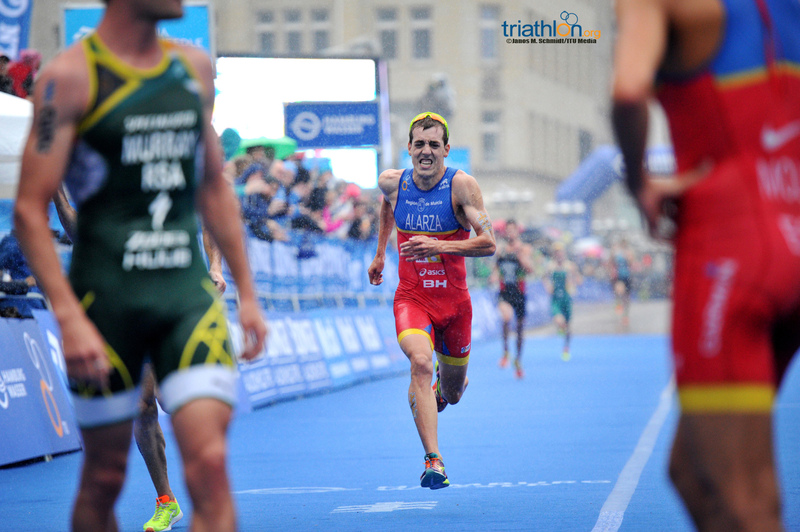 While slipping back to second place in the rankings, Fernando Alarza (ESP) can take huge pleasure from his season to date. 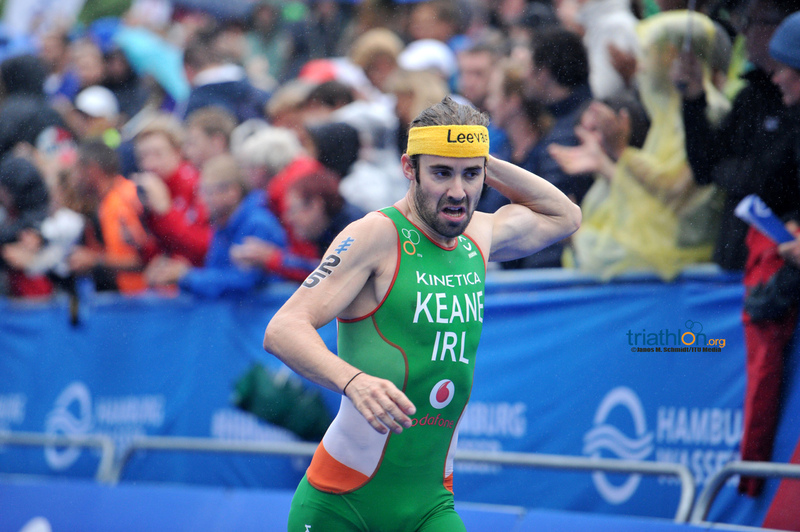 Having competed in every round of the World Triathlon Series except Leeds, he has yet to finish lower than fifth. 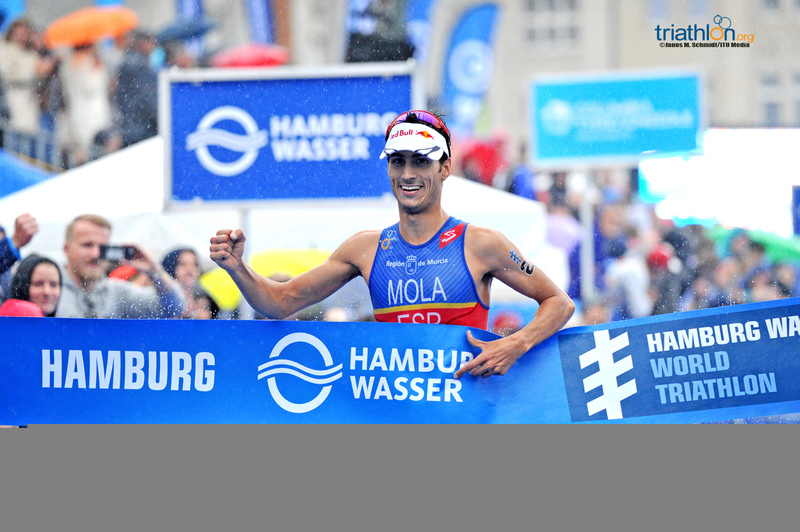 Third place in Hamburg represents his third podium finish of 2016; something he had managed only once in previous years. 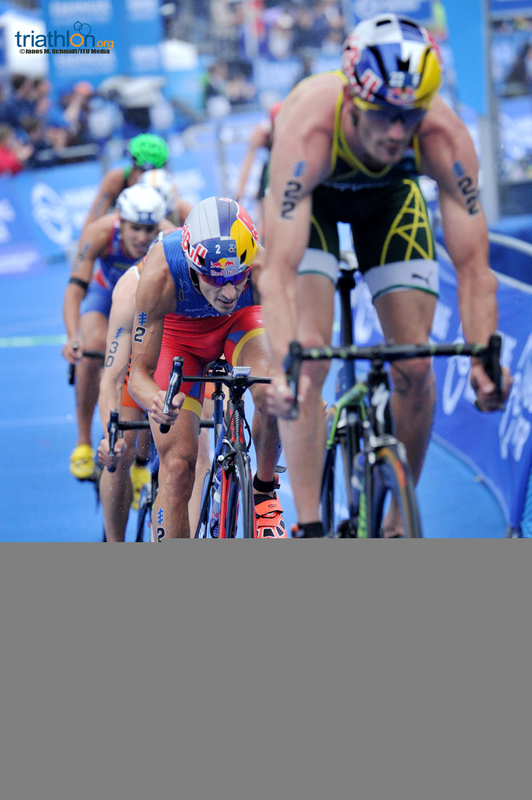 Like Mario, he is also in a strong position to contend for the year ending World Championship podium. 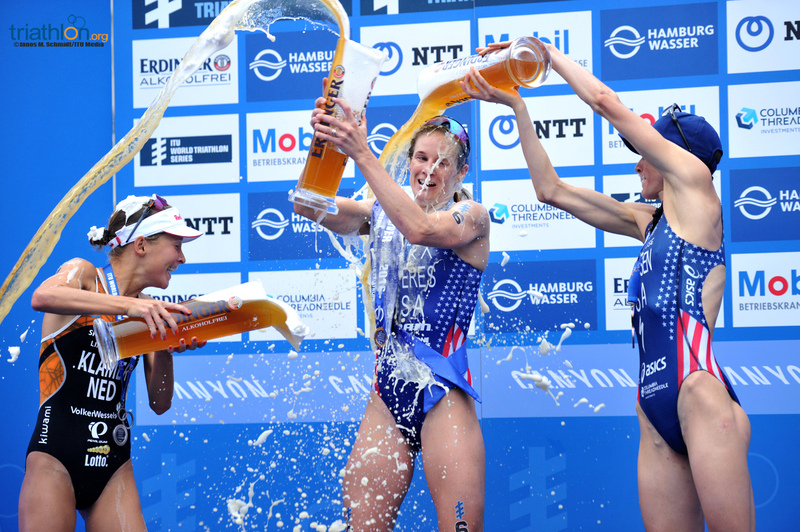 Unlike Mario, that would be new territory. 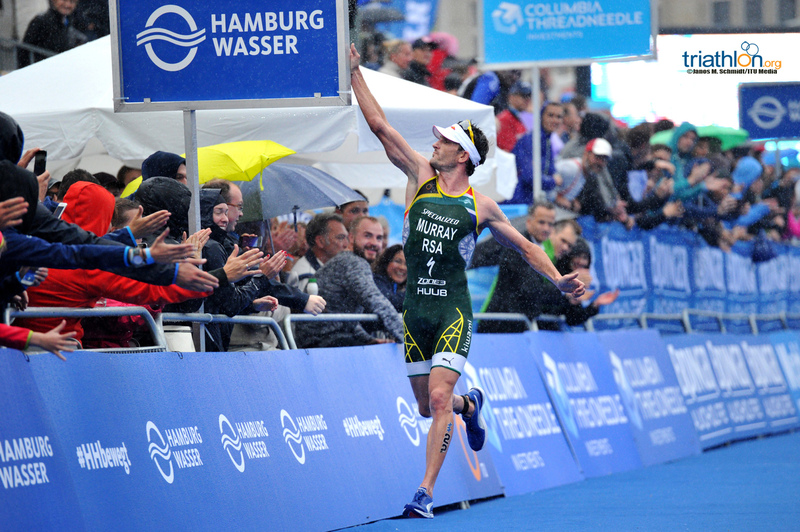 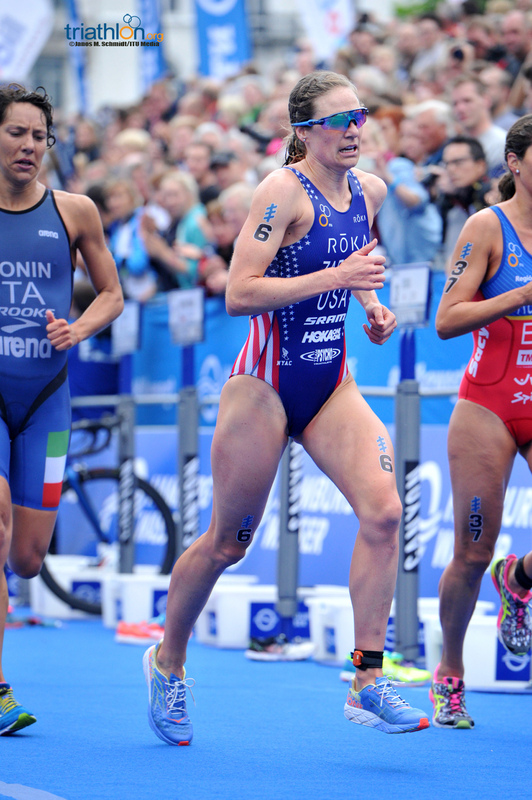 Outside of the Hamburg podium, several athletes achieved career-best World Triathlon Series finishes. 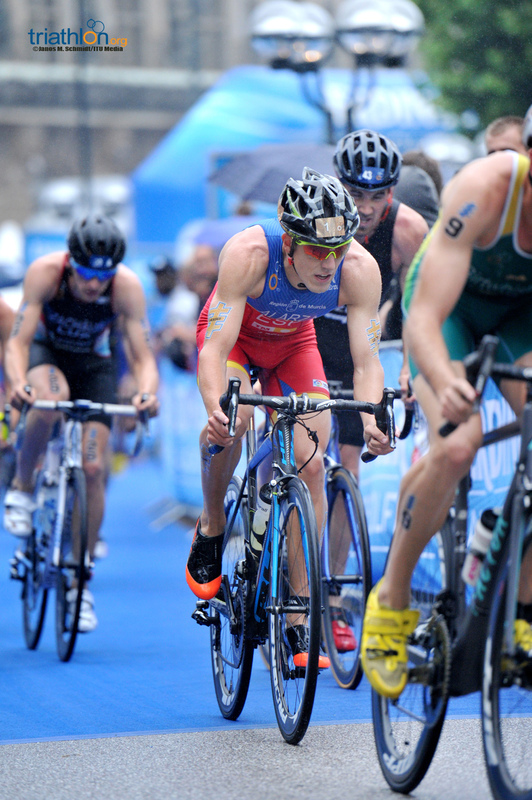 Marten Van Riel (BEL) sixth, Tyler Mislawchuk (CAN) seventh and Rostislav Pevtsov (AZE) ninth, all improved on their previous highest WTS finishes. 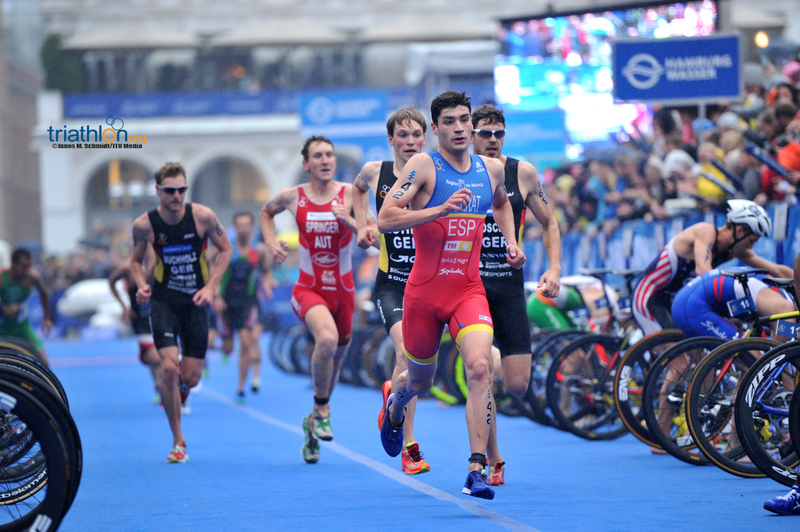 For Pevtsov, a European Games Bronze medal winner in his home country in 2015, that makes him the highest new entry into the Columbia Threadneedle Rankings after his first start of the year. 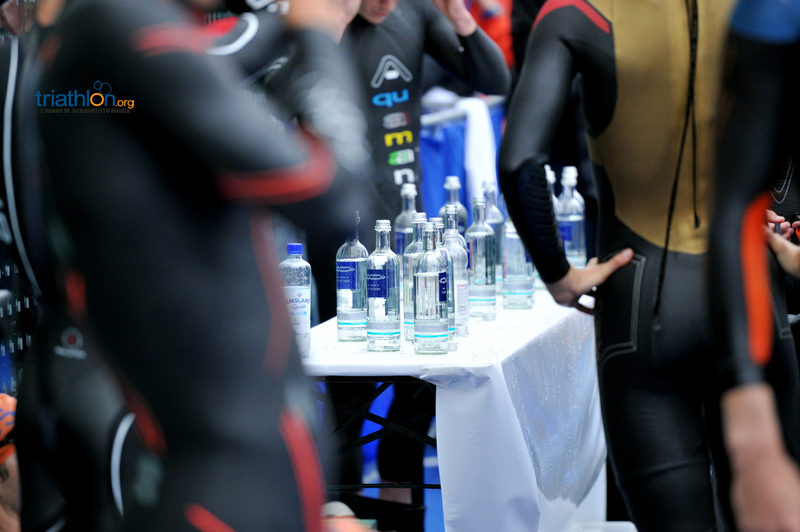 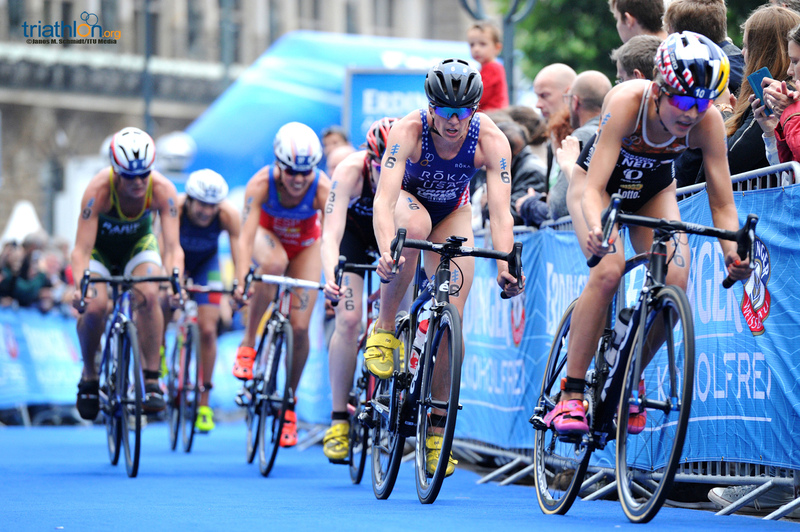 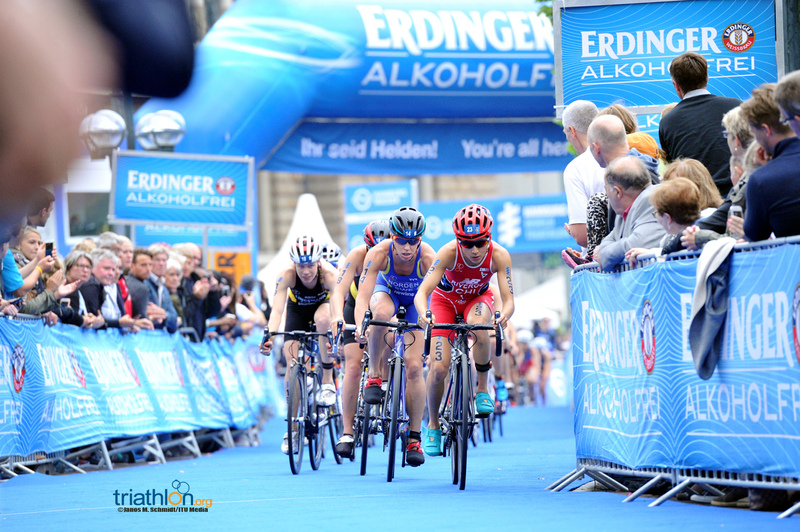 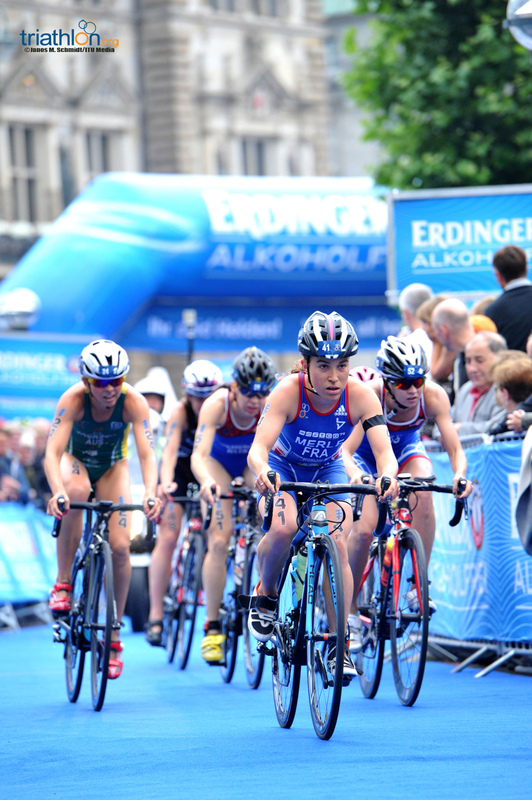 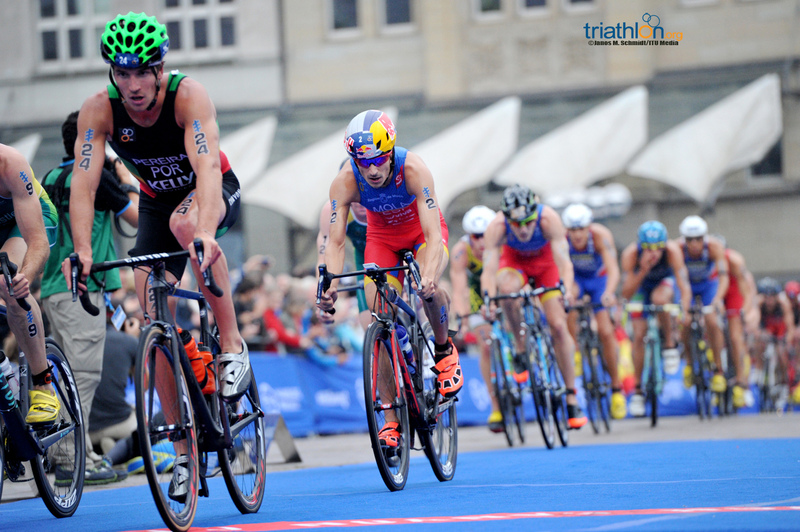 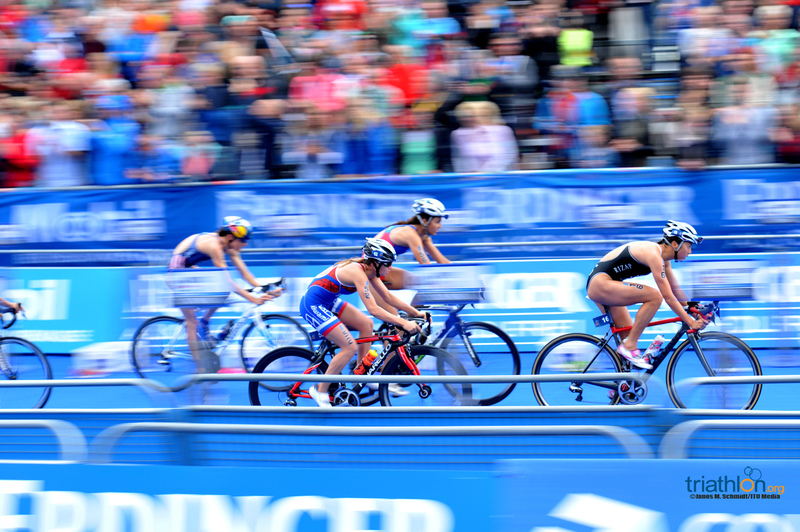 The Series now moves on to round eight at the ITU World Triathlon Edmonton on Sunday 4 September. 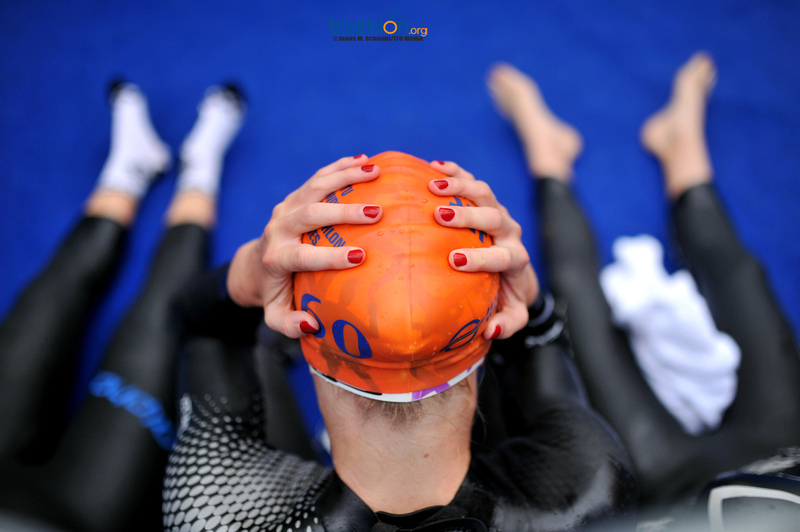 Before then however, the Olympic Games takes place on 18 August (Men) and 20 August (Women).